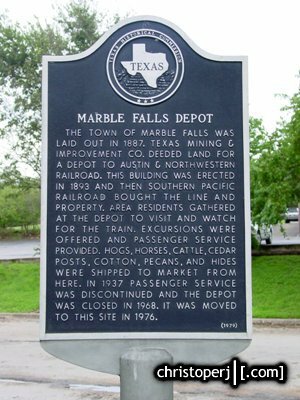 Marble Falls is off of US-281 on the backway north to Denton. 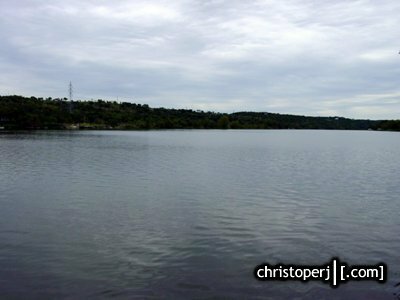 Ive never been through here before, but it's remarkably scenic with the lake and the limestone hills. 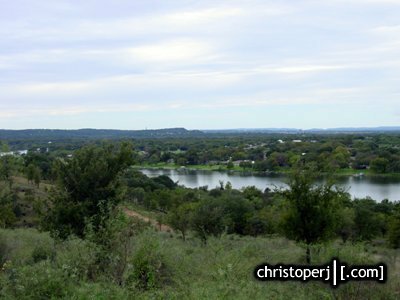 The view heading into Marble Falls from the southern overlook. 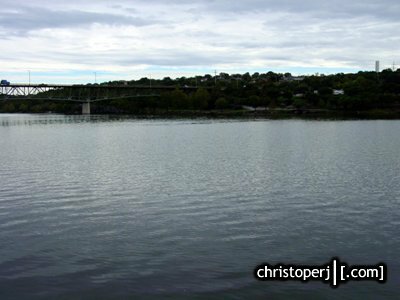 . .
. . .the view across Lake Marble Falls. 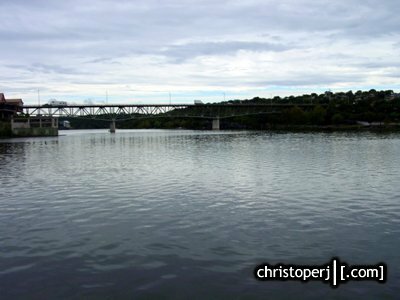 A few years after this picture was taken, the entire area was flooded after a freak storm. 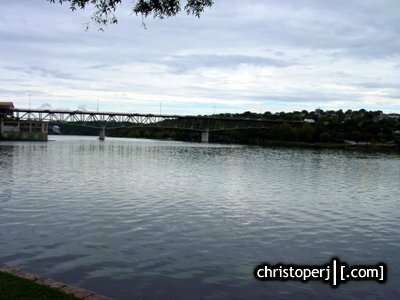 Water was up to the US-281 bridge supports in back of the pic. 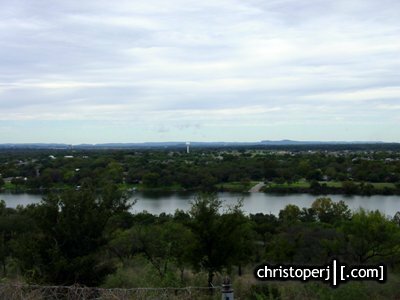 . .
. . .Lake Marble Falls looking west. 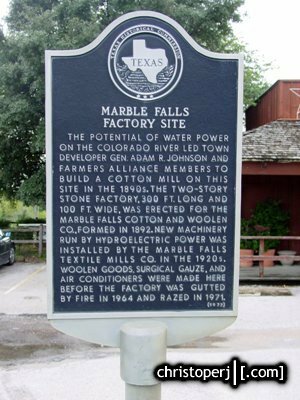 . .
. . .Marble Falls is a popular place to live and vacation. 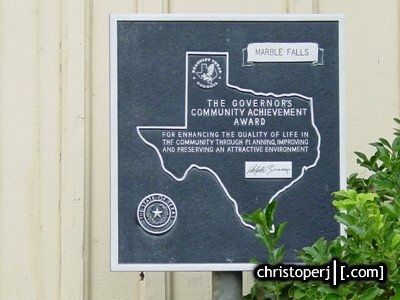 This is the Governor's Award for Community Achievement. . .
. . . 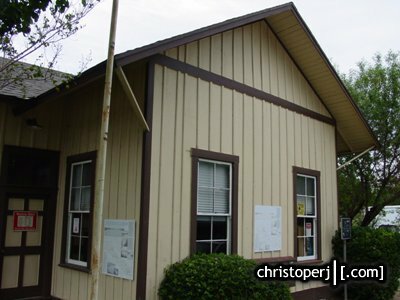 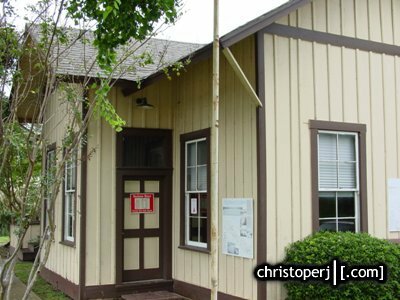 The Marble Falls Railroad Depot and historical marker. 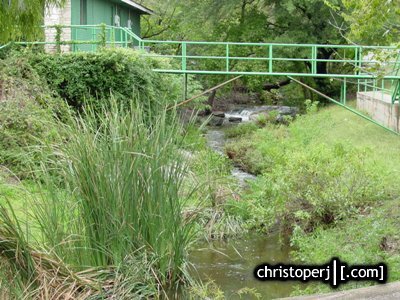 . .
. . .a small creek just beyond the depot. 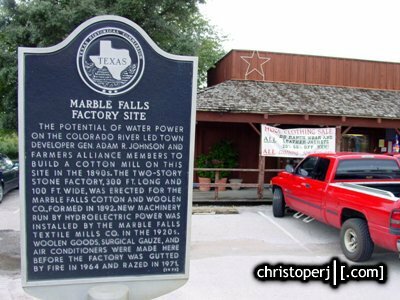 . .
. . .The Marble Falls Factory Site and historical marker.